When I decided to start blogging more at the first of the year I also had a goal of COMMENTING more. I don't know why, but I am terrible when it comes to leaving comments. I read a TON of blogs and I never leave comments. I know I'm not the only one out there that does the same thing! Who doesn't love getting comments? I LOVE getting comments, and I always feel like a loser when no one comments on my blog! :) So when I was making my New Year's Resolutions for blogging, I realized that I needed to make it a goal to comment way more. It makes my day when I get a comment and I think most people feel the same way. So the past few weeks I have been trying to comment on every blog post that I read. It is HARD to remember to do that because I'm so used to not leaving comments, but I am getting used to it. I feel like the craft blog community has grown sooo much in the past year and the competition is FIERCE! I am a competitive person, but I have realized that blogging shouldn't be a competition. I have had to completely change the way I feel about blogging, and this has helped me tremendously. I have actually really enjoyed blogging more since I have made the decision to not make it a competition. 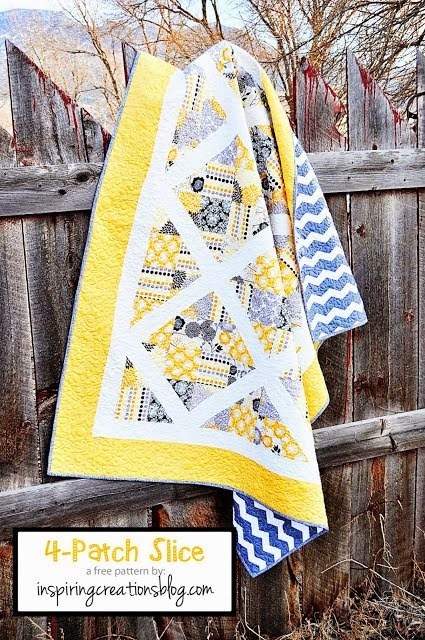 Just another reminder that my first linky party starts on Friday! Anything is game! Link your crafts, recipes, and products! I often "star" posts, so that I can go back to them and make the craft or recipe featured (most of my RSS'ed blogs have to do with one of the two) ... but I rarely pop out of my reader to leave a comment. I really should start doing that more often! Ditto, I love comments, makes me honestly, a little sad when I don't have people commenting-they totally validate me in posting all the things I post :). And, I've noticed yours! P.S. I have no idea how to link up, but if I find out how, I'll link up! Katie took my words near exact! :) That Google Reader is awesome, but maybe a little too easy! You have a great blog and I thoroughly enjoy it!! KEEP IT UP! I agree. I read a ton of blogs but don't always leave a comment. Thanks for sharing your thoughts. I love when I get comments and they are usually from you! Thanks! So true. I try to leave comments, but sometimes I get so busy I forget. One thing I've tried doing is to save blogs in my favorites if I can't comment at that time, then for those blogs, I come back once a week and leave all those blogs a comment. My thought is if I liked them enough to read, it would be nice to comment even if it's late. I will leave a comment if it is something that I think is great, if I know the blogger, or if the post is really funny or sad. I don't leave a comment "Just because". I love getting genuine comments from people...the ones where they go into a little more detail than "Cute!". Not that I don't love all comments, cuz I do! But those ones that take an extra second to add my name and tell me what they like about the post turn me into goo. I then go check them out and leave a comment or follow them. I have made many great friends because of this. I also read through reader, but I have the "next" button on my tool bar so I actually go to each page with a click of a button. Drag the "Next>>" button up to your bookmark bar. Then to go through your reader just click on that button anytime and it will take you to the next blog in your reader. I love your blog and I love comments! I'm just starting out with my craft blog, but I need to be better about commenting! I'm guilty of this too--it just is too easy to read through Google reader and skip the whole commenting part...which is BAD! I should comment more. I go through phases where I comment a lot...and through phases where I don't comment at all! Comments are such a wonderful way to connect in this online community of bloggers. Thank you for the encouragement to be diligent in this. I'm another "reader" reader and it does make the commenting hard. I tried the "next" button too, but then it made it harder to star/tag posts of things I wanted to try (crafts/recipes etc). So I started challenging myself to leave more comments. Either on posts I subscribe to or posts I look at on Linky parties. I don't want to leave comments just for the sake of commenting so I aim to find 10 posts a day that I like and have something to actually say (it isn't hard with how full my reader is!) I don't always make the goal as it does take time (and sometimes I can't even keep up with the posts), but it helps me be more mindful of it. I definitely know what you mean. I rarely get any comments. It certainly is discouraging and disheartening. I will work even harder to comment and I do hope in time that people will comment more on my blog.